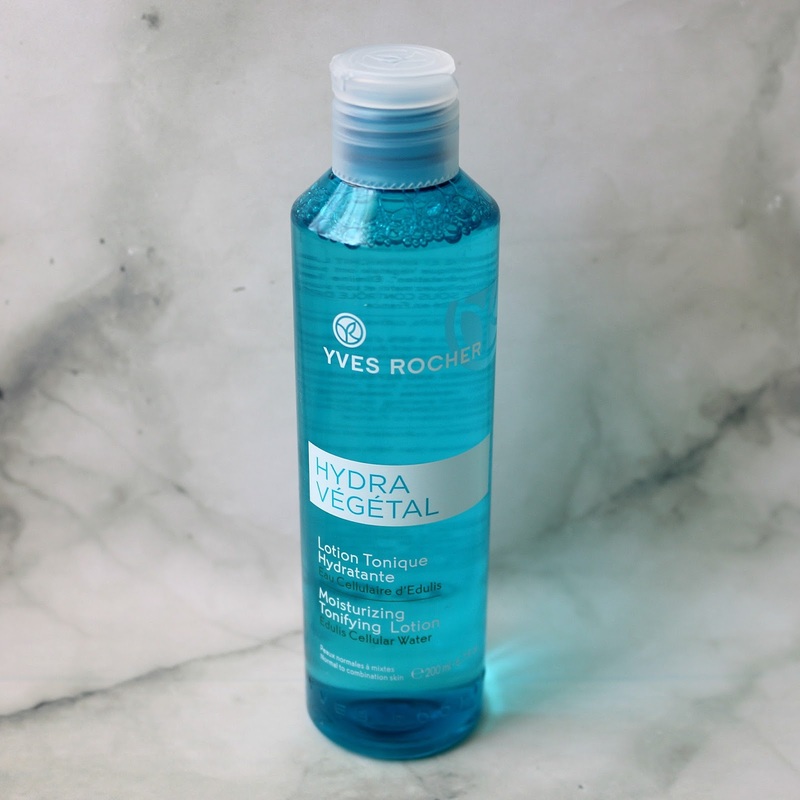 My Spring Skin Care Routine | Yves Rocher Hydra Végétal + Giveaway! 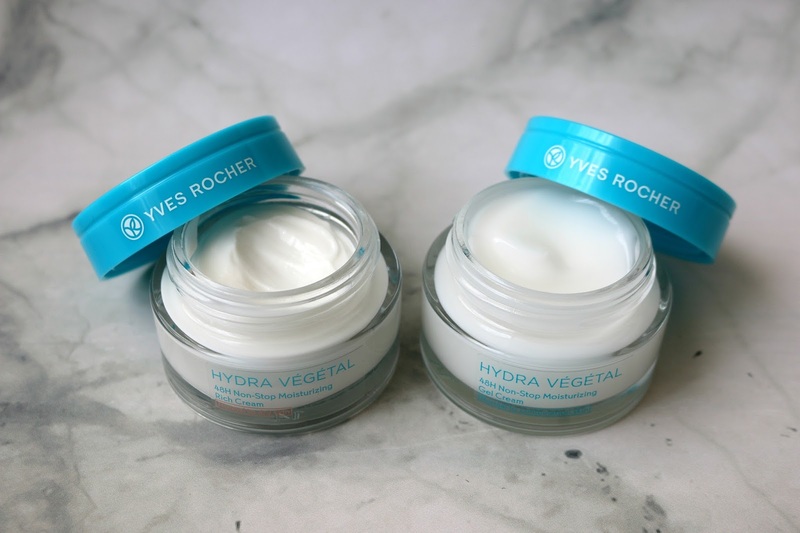 A couple of months ago, I got an insider's look at the new Hydra Végétal skincare products* from Yves Rocher at the Letter Bet in Montréal, where I got to preview the new products, which was super fun! 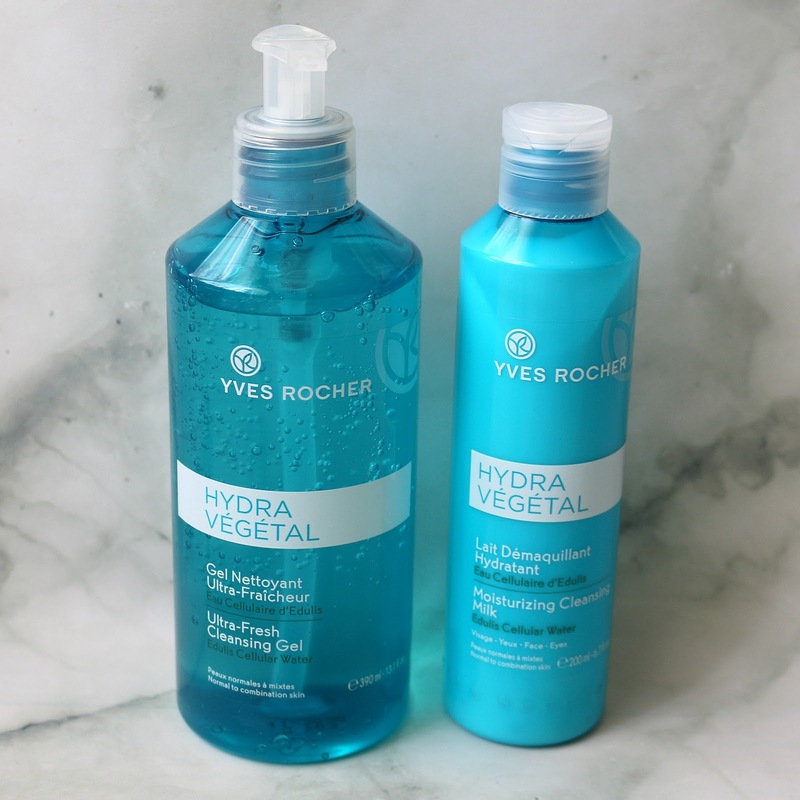 I had previously tried a few products from the Hydra Végétal line, so I was super curious about the new additions they have recently come out with. Over the last few weeks, I've been incorporating all seven products into my daily routine and have even discovered new favourites! As you may know, I am a huge fan of the Yves Rocher brand (we go way back as my mom has been a long-time customer and she would let me help her order from their catalogue as a little girl!) and I always get excited to share what new innovative botanical products they have developed. I'll be going more in-depth about what makes this particular line so great and show you just how I use each product! You'll want to keep reading until the end as I also have a giveaway you don't want to miss! I have combination skin that is also sensitive. The important thing to note is that no matter your skin type, it can still be in a dehydrated state (yes, even if your skin is oily)! We naturally lose water through perspiration and evaporation, and simply putting water on your skin when it is dehydrated does not remedy the situation since it does not get absorbed into the deeper layers of the skin, but instead remains on the surface. That is where Edulis Cellular Water, the star ingredient of this line, comes in: the experts at Yves Rocher studied the Edulis succulent and how it is able to adapt to harsh environments where it tends to grow, including the seaside and rocky coasts, where you typically do not find much plant life. They found that this plant's extract can similarly benefit us humans by getting absorbed and stored in all skin layers, and then released in a continuous manner for 48 hours (in vivo tests), thus combatting dehydration. Yves Rocher grows their own Edulis succulents in a greenhouse at their headquarters in La Gacilly, France and they are cultivated using organic farming methods. The plant shoots are harvested before flowering and go through a 5-stage process to extract the cellular water: crushing of the plant, pressing to get the juice, decanting to separate the elements, clarifying to keep only the water and stabilizing to get it skincare ready. I'll be breaking down each of the seven products by their function. But first, can we take a minute to appreciate the beautiful aqua blue packaging? Love! This refreshing gel doubles as a makeup remover and works wonder to remove impurities and leave you with a clean complexion. I've been using it both morning and night and it lightly lathers and has a really nice, fresh scent. It is free of colourants, mineral oils and parabens, and does not irritate my sensitive, acne-prone skin. Gel cleansers can sometimes leave your skin feeling dry, but thanks to a formula that is more than 93% natural and extracts such as Edulis water, hamamelis flower water, and aloe leaf juice, it actually leaves my skin feeling hydrated and not stripped of its natural oils. I can sometimes be forgetful when it comes to cleansing in the morning, but since having this in my life, I have not missed a day! This cleansing milk can be used morning and night, and I especially like to use it to remove my makeup at the end of the day. I like using it with a cotton pad and it does a great job of dissolving my makeup, from liquid foundation, mineral powders, to mascara and eyeliners. If you are someone who prefers creamy cleanser to gel cleansers, this one is really effective and does not leave your skin feeling parched, thanks to ingredients such as rapeseed oil, aloe vera juice, and of course Edulis extract, with the formula being over 92% natural. I've really gotten into using cleansing milk lately as I find it really effective and gentle enough on my acne-prone skin. Are you in the market for a new mechanical exfoliator? This gel-based one sloughs off dead skin cells in a jiffy to reveal a smoother and brighter complexion. I usually prefer chemical exfoliators, but this one is gentle enough on my sensitive skin. The bamboo micro-granules are effective without being harsh or abrasive. The formula contains 92% natural ingredients and is free of colourants, mineral oil and parabens. I use it twice a week while in the shower and love how baby soft my skin feels right after! Toners are a step I can be forgetful about, and instead of leaving my skin feeling refreshed, many I have tried in the past left my skin feeling dry and irritated! That is not the case with this one since the formula is alcohol-free and more than 98% natural. The Edulis extract, Hamamelis flower water and aloe leaf juice work together to make my skin not only feel clean but also quenched. I simply soak a cotton round and wipe it on my face, neck and décolleté, and it gets rids of any dirt and impurities that might have been left over. I am then ready for the ultimate hydration boost with the below products! 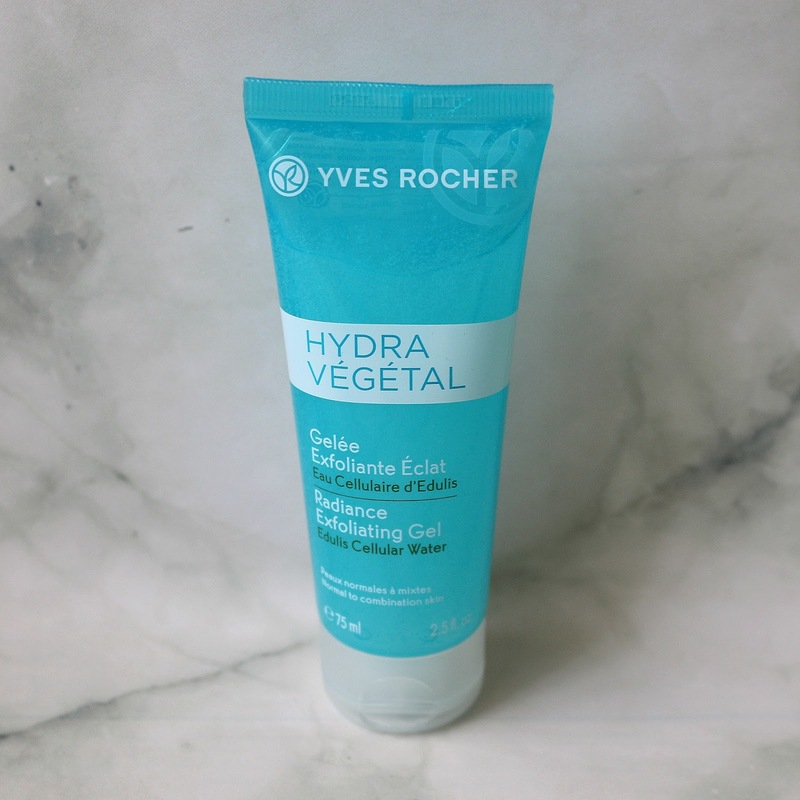 I like using this gel cream hybrid during the day because it has a light texture, perfect to apply if you are short on time and need it to absorb quickly before applying makeup. It is made from more than 90% natural ingredients and housed in a recyclable glass jar, and the box carton comes from sustainably managed forests. This gel cream is also free of colourants, mineral oil, parabens and silicone. My skin drinks it right up and remains hydrated throughout the day, for up to 48 hours thanks to the continual release of hydration from the Edulis water extract. It also contains macadamia oil, aloe juice and hamamelis flower water. I've been reaching for this cream at night before hitting the hay as it is very nourishing. On top of Edulis water, it also contains coconut oil, sunflower seed oil, shea butter, Roman chamomile water and aloe leaf juice. Despite appearing quite thick and containing quite a few oils, it absorbs rather quickly and does not leave my skin feeling greasy. The formula contains over 89% natural ingredients and provides continuous hydration for up to 48 hours. I just love how it leaves my skin feeling quenched and replenished! I've been really good about using eye cream lately (again, it's one of those steps I tend to be forgetful about, especially in the morning). I really like how this one sinks into the skin in no time! The formula (more than 90% natural) is free of perfume, parabens and mineral oil and contains pearlescent pigments to help reduce the appearance of dark circles - which I deal with on a regular basis - and with continuous use, they seem visibly reduced. Also, if your concealer tends to crease under your eyes (as it sometimes happens to me), a good under-eye moisturizer such as this one can help prevent that. Final verdict? My skin has been drinking these products right up! Not only do they work great for me, but they are also affordably priced (as are all Yves Rocher products)! 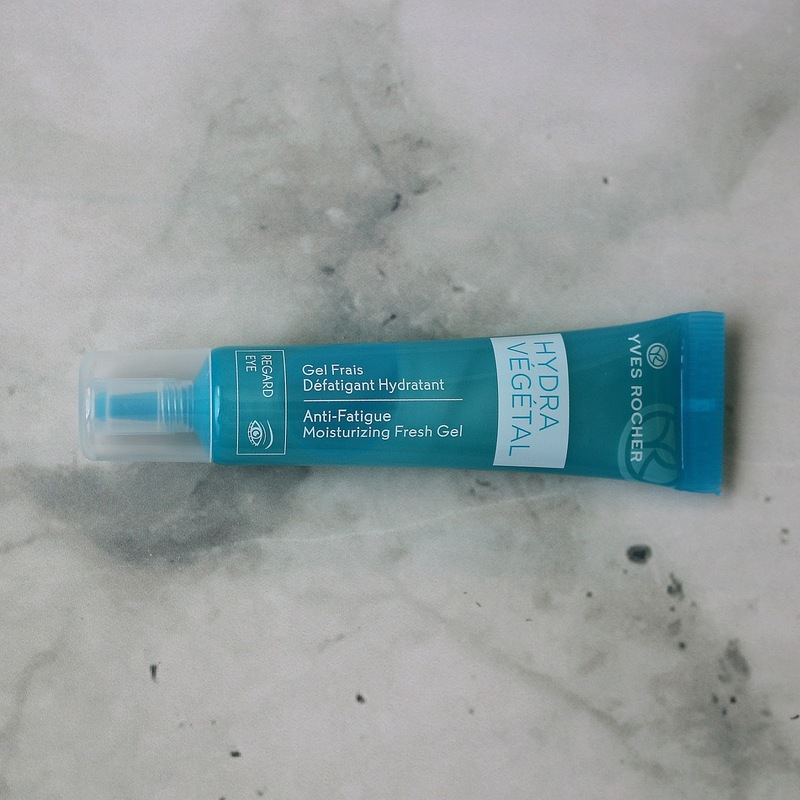 Will you be getting anything from the Hydra Végétal skincare line? I love Yves products. We have a tiny shop in my town, and I just love to ego and stare at their beautiful labels. I always loved what I bought from them. I have to enter in this giveaway. The aqua blue packaging is really lovely! I would love to try a product that would leave my skin hydrated without stripping its natural oils, and this line looks wonderful. Thanks for the review! I am always looking for a new skin care routine. I've never heard of these products before I'll be putting them on my list of skin care products I must check out! This product sounds so amazing! I need to check it out ASAP! Looks like a gorgeous product line. I'd especially like to try the moisturizer. I have cousins in Canada so will let them to know for a chance to win this giveaway. Free stuff is always better. You always share such awesome products. I hadn't heard of these before, but now I'm eager to try them out. I'd like to try the cleansing gel. I find NOTHING i have tried works for me. This would be great to try. Especially the Radiance Exfoliating Gel!! Thanks! All of these products seem great. I can not wait to try the Moisturizing Cleansing Milk. I have a shampoo packages just like that. Anyways, I'm not sure if we get this brand here. Will check it out. I had not heard of this brand until today. Sounds incredible! My skin has been so dry lately and my current skincare isn't cutting it. I need to try this. I love Yves product and I can't wait to try this new one. I love your review about it! these products all seem great, i really like to try the cleasing milk, I live in the dessert and it's important to use products that don't try out my skin. Perfect products. I love a set that has all the products you need. I am most excited to try the 48H Non-Stop Moisturizing Gel Cream. Yves Rocher is one of my favorite brands! I grew up with the brand! I love that range and already have the non stop mosturizing gel! My skin is currently having some issues and i would like a new skin care line. I have heard of Yves Rocher before, but never tried their products. I really like the cute packaging! I've been so obsessed with gel cream lately and this one is just right up my alley. I might check this one out. I woould try the moisturizer first as my skin is usually so dry. This stuff looks wonderful. I bet my skin would really benefit from it. 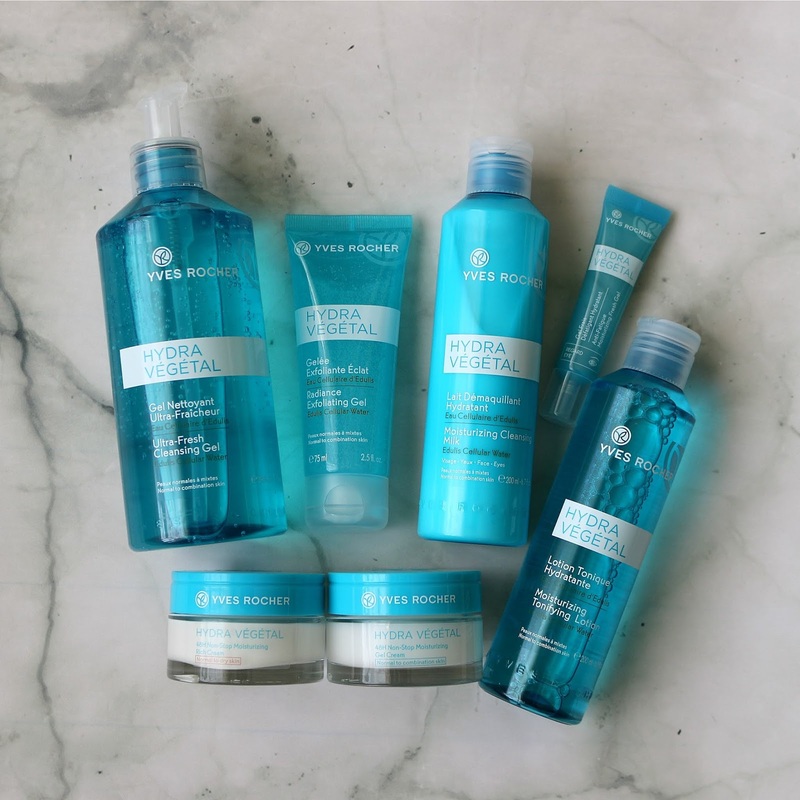 The UltraFresh Cleansing Gel sounds amazing! It would be the first product from this line that I would like to try. Love the products.I am most excited to try the 48H Non-Stop Moisturizing Gel Cream.Thanks for sharing. Digging all these products! This is a geeat brand! I am really I tersted in the toner tbh. thanks for the chance! I've never heard of this line but it sounds perfect for my skin as I have sensitive skin as well. I think I'd most like to try either the Gel or Milk Cleanser or the Toner. (I always forget the toner step too.) Thanks for the chance to win. Loved how detailed your review was! I definitely need to update my skin care routine and these products look like great ones to try. I have combination skin too. I've never tried this brand before! Seems like some really good products. Maybe I'll try the Moisturizing Gel sometime! Skin care is so important. It is great that you have found products that work for your skin. Looks like a great company. I am most excited to try the Moisturizing Cleansing Milk. I like to double cleanse at night to make sure I remove all my make up and the cleansing milk sounds like it would do the trick without stripping my skin. Would have joined this raffle if you'd be shipping it to other countries. I would love to add these products to my skincare regimen. I’m taking better care of my skin as I get older. Everything sounds wonderful; but I would try out the Ultra-Fresh Cleansing Gel first! I’m excited to try the ultra fresh cleansing gel . I also have sensitive skin that is combination so this looks like something I would love to try. Looks like a great line! The moisturizing cleansing milk sounds great. I've been searching for new products!